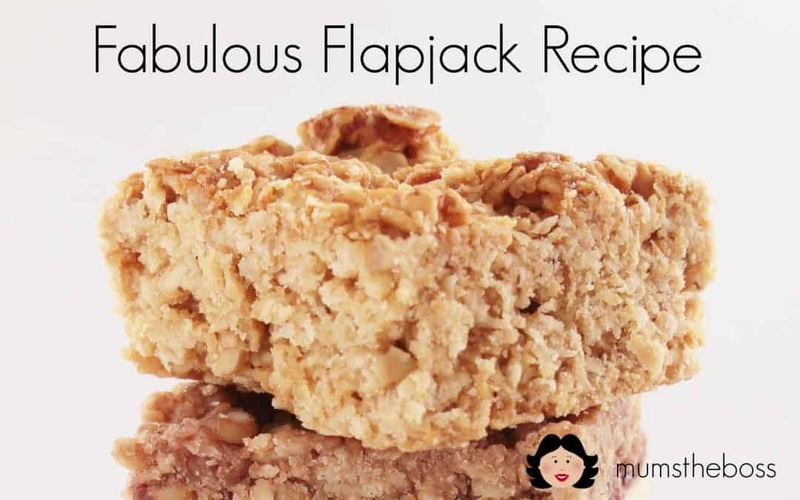 I’ve tried lots of flapjack recipes over the years but this one consistently gives the ideal mixture of crunch and chew! It’s always a hit with mums and children alike. And the final seal of approval? Even my fussy little eaters like it! But even if they didn’t I would have no problem polishing these off……. 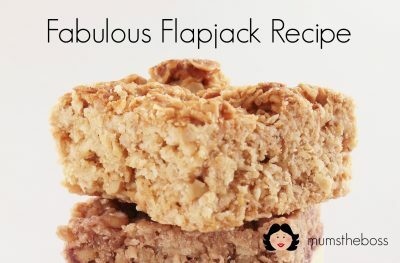 Flapjack is a great standby as you only need 4 ingredients which are cheap, everyday things you would normally find in your kitchen cupboard anyway. It is super quick and easy to make, keeps well and is great for lunchboxes. Plus you can always ring the changes by adding some dried fruit (raisins, cranberries or chopped apricots), chocolate chips, nuts, or even be completely decadent and pour melted chocolate over the top, then refrigerate. 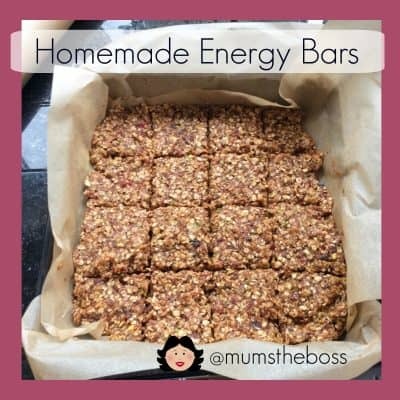 And for any of you mums who happen to be breastfeeding, oats are a great way to boost your milk supply – so you have the perfect excuse to eat as much as you like!! If you like this you might like my protein bars. Found this on Bing and I’m glad I did. Amazing article. Valuable information. Fortunate me I found your website by accident, and I’m stunned why this twist of fate didn’t came about earlier! I bookmarked it.